No better way to follow yesterday’s post. Yesterday, I shared an article that had appeared on the Care2 site on the topic of the latest scientific inquiries into how dogs understand what we humans say. That had originally been published in September of 2015. Published just three days ago, again via the Care2 site, was another article about the language of communication between our beloved dogs and us. Dogs and humans certainly share a special bond. Previous research has shown that dogs in fact do understand what we’re saying and that they also try to figure out what we’re thinking by taking on our perspectives. Now, there’s evidence that humans can understand dogs too — by the sounds they make when they growl. In this study, recordings of three different types of dog growls were taken from 18 different dogs of various breeds and sizes. They included aggressive guarding growls that were triggered when other dogs approached the growling dogs’ food, playful growls during a game of tug-of-war between dogs and threatened growls from dogs that were approached by strangers. The guarding growls were typically longer and more drawn out than the playful growls, which were were shorter and more repetitive. The guarding growls could be differentiated from the threatened growls by their pitch and loudness, with the guarding growls having a lower and more intense pitch so that it sounded like it was coming from a bigger dog. Forty participants were recruited to interpret the dog growls by listening to two sets of the recordings. For the first set, they were asked to judge the emotion behind each growl using a scale that measured the degree of aggressiveness, fear, sadness, happiness, and playfulness that they could pick up on. For the second set, they were asked to choose whether the dog growls came from a dog that was guarding food, playing, or feeling threatened. It turns out that people can interpret dog growls accurately more often than not. The participants had a 63-percent overall accuracy rate for interpreting the dog growls. Playful growls were easiest to identify at an 81-percent accuracy rate while guarding growls had an accuracy rate of 60 percent followed by threatened growls at 50 percent. The results suggest that humans are pretty good at interpreting dog growls in a broader context given that it was much easier to identify the playful growls from the other two. The guarding growls and the threatened growls both share displays of aggression, which could explain why it was a little more difficult for the participants to accurately identify them. What’s even more interesting is that women and people who were already dog owners showed higher accuracy rates of identifying the growls. The researchers pointed out that women are known to have higher emotional sensitivity, which may help explain why their interpretations were more accurate. Likewise, dog owners probably used their experience to identify the growls, suggesting that people can be trained to get better at learning to understand dogs. The researchers say that learning to identify the differences in dog growls could help reduce aggression in dogs as well as improve their behavior. So whether you’re a dog owner yourself or know someone who owns a dog, it might be an interesting experiment to tune in to the subtle sounds of their growls to see if you can understand what they’re trying to communicate. Want to know more about what your dog’s growling means? Here’s some extra information on how to interpret your dog’s growls. That last link did provide more valuable information for us dog lovers. I republished it last August but it will certainly stand being shared with you again. Ergo, I will repeat that post from last year tomorrow. Can’t resist closing with a picture of a dog speaking growl found randomly on the web. 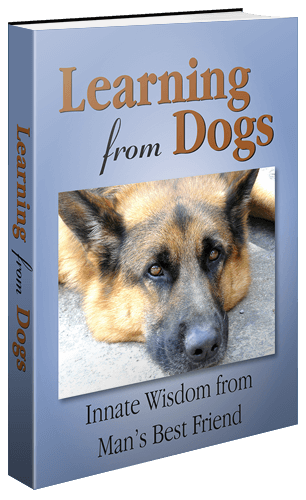 The science of understanding between dogs and humans. The ways our dogs speak to the world. That dog looks annoyed, lol. Kind of like me when I have not had coffee for the day. Interesting article. My boxer, Sophie had another unusual way of communication. If the hair on her tail became poufy, she was not in the mood to be trifled with. It was a huge warning sign. Great share, Paul! That’s a very interesting aspect of Sophie. I’m trying to think if any of our dogs here have unusual ways of signaling the same mood. Will ask Jeannie. She will know.